In Depth Investigations has been making waves in Western Australia since the late 1970s. During this time, we have adopted new technologies and more advanced methods of surveillance and investigation. In recent years, our company ethos has been transformed to ensure we’re offering vital services, like cybercrime investigations, and are using the latest, best quality surveillance equipment, so we can offer the best possible services to Western Australian corporations and businesses. We’re not a hack job kind of company, so we make sure we handle every job and investigation with the utmost discretion and professionalism, and everything we do is in accordance with the Evidence Act of 1995. By doing this, the evidence we collect is always admissible in court. Our team of ex-police, military, legal and financially trained investigators are licensed by the Western Australian Police Service, and bring a wealth of knowledge to all aspects of your private investigation and surveillance. In Depth Investigations can also assist with criminal defence cases and all form of surveillance, and is equipped to deal with a range of investigations, both big and small. 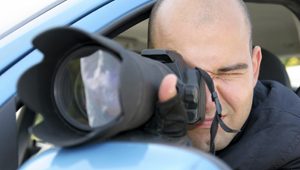 Why Choose Our Private Detective Agency? You’ll get to work with highly experienced professional investigators with backgrounds in policing, insurance, legal and corporate fields, as well as finance and psychology. Our regular client base and expertise lies with state government agencies, legal firms, corporate companies and insurance businesses. Professional and proven success rate through repeat clients and recommendations. We also have proven success in assisting with obtaining prosecution in civil and criminal proceedings. Our private investigations agency is fully-licensed by the Western Australian police, and our team is comprised of highly trained investigators and operatives. We have an abundance of local Western Australian knowledge, with national and international coverage. 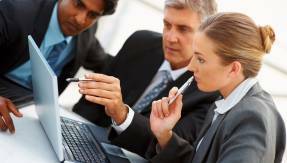 Our office and investigators are equipped with state-of-the-art technology and equipment. In Depth Investigations has public liability and indemnity insurance. Whether you’re a large Western Australian company, small business, or individual looking to benefit from honest, ethical and trustworthy private investigation and surveillance services – talk to the team at In Depth Investigations today!